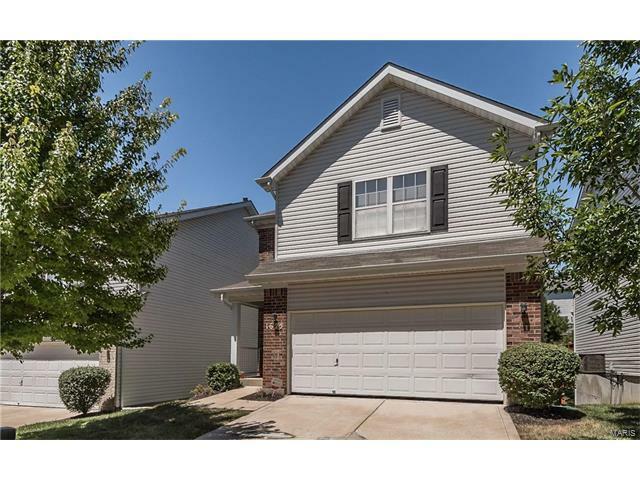 ▶ SoldThis listing was sold on Oct 12, 2017 for the price shown here. The elegance is evident on Hurstborough Manor. Don't miss this meticulously maintained home with over 1700 square feet of living space. Enjoy the open concept living area with gleaming hardwood floors. The updated large kitchen with breakfast bar is complemented by a separate dining area and walk-out to wooden deck. There's a half bath on the main level with two full baths upstairs included a massive master bath with double sinks, whirlpool tub and separate shower. A spacious second floor landing area, perfect for office or sitting space, leads to the master suite along and two additional roomy bedrooms with walk-in closets. A full-size two car garage and finished basement with walk-out and storage area complete this lovely home. Schedule your showing today! 270 to Missouri Bottom Road, go West about 1/2 mile to Hurstborough Manor Dr. House is about halfway down the street on the right.